Why Do the Jews Hate Jesus? I know this is a rather controversial title for today’s “morning meditation,” but it came to me as I was reading through the Gospel of John and I thought I’d share what I’ve been pondering. And He said to them, “What man is there among you who has a sheep, and if it falls into a pit on the Sabbath, will he not take hold of it and lift it out? How much more valuable then is a man than a sheep! So then, it is lawful to do good on the Sabbath.” Then He said to the man, “Stretch out your hand!” He stretched it out, and it was restored to normal, like the other. But the Pharisees went out and conspired against Him, as to how they might destroy Him. So why did the Jews hate Jesus (Yeshua)? Actually, that’s a misleading question since not all Jewish people hated Jesus. In fact, a lot of Jewish people during the “earthly ministry” of Jesus really liked him and thought he was a prophet and some even believed he was the Messiah. Some of the people therefore, when they heard these words, were saying, “This certainly is the Prophet.” Others were saying, “This is the Christ [Messiah].” Still others were saying, “Surely the Christ [Messiah] is not going to come from Galilee, is He? Has not the Scripture said that the Christ [Messiah] comes from the descendants of David, and from Bethlehem, the village where David was?” So a division occurred in the crowd because of Him. Some of them wanted to seize Him, but no one laid hands on Him. As you can see, particularly from the last quote, opinions about who Jesus was were mixed, but clearly a lot of Jewish people thought well of Jesus and thought he was a prophet, a Holy Man from God. So not all the Jews hated Jesus. 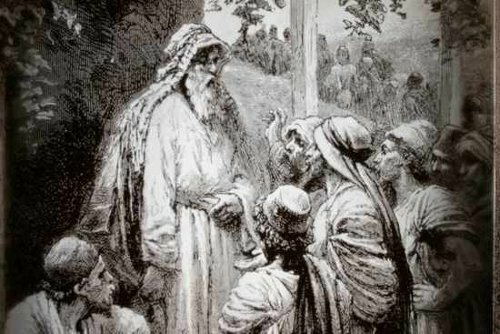 In fact, probably relatively few Jewish people actually hated Jesus, and most of those were invalid priests and corrupt Pharisees and scribes (though not all Pharisees and scribes were corrupt) who experienced the Master’s teachings as upsetting their own apple cart, so to speak. There were also probably a number of well-meaning Pharisees who opposed Jesus because they authentically disagreed with how Jesus interpreted the mitzvot, particularly the laws about Shabbat (see Matthew 12:1-7 for example). On the other hand, there were also Pharisees who were at least intrigued by if not devoted to Jesus (John 3:1-21, John 19:38-42). But if this was true during the first earthly ministry of Jesus, what about after his death, resurrection, and ascension? When the Gentiles heard this, they began rejoicing and glorifying the word of the Lord; and as many as had been appointed to eternal life believed. And the word of the Lord was being spread through the whole region. But the Jews incited the devout women of prominence and the leading men of the city, and instigated a persecution against Paul and Barnabas, and drove them out of their district. But they shook off the dust of their feet in protest against them and went to Iconium. The next Sabbath nearly the whole city assembled to hear the word of the Lord. But when the Jews saw the crowds, they were filled with jealousy and began contradicting the things spoken by Paul, and were blaspheming. What happened? Well, crowds and crowds of Gentiles were consuming space within Jewish community, and unlike the Gentile God-fearers and converts, these Gentiles were straight up pagans who might well walk all over Jewish customs relative to kosher and ritual purity…and this guy Paul was the cause of it all. So, get rid of Paul, get rid of the Gentiles, and the Jewish leadership once again retains control over their communal space. Of course eventually the teachings of Jesus as Messiah and the influx of Gentiles into Jewish community became so linked that many Jewish communities in the diaspora learned to reject both Jesus and the Gentiles out of hand. In fact, according to my review of the works of Mark Nanos and Magnus Zetterholm, even within the early Messianic movement, there was quite a bit of confusion and disagreement about how or even if the Gentiles should be integrated into Jewish communal and social life. This ultimately led to a rather messy divorce between Jesus-believing Jews and Gentiles, and for a time, there were two parallel religions: Pharisaic Messianic Judaism and Gentile Christianity. Eventually the former dissolved and the latter attained prominence, first in the Roman Empire and then eventually throughout the world. Even mentioning a partial inventory of the history of enmity between Christianity and Judaism far exceeds the scope of this one, small article. To get the full flavor of how at least one Jewish source sees this history, visit the page on “Christianity” at Jewish Virtual Library. Also see the website for the “anti-missionary” group Jews for Judaism. So do Jews hate Jesus? It might be more accurate to say that Jews resent the long history of abuse they’ve historically had to suffer at the hands of the Christian Church and various Christian nations. They also resent any attempt to convert Jews to Christianity because of the threat of the destruction of the Jewish people, not by violence in the modern era so much as by assimilation. It’s never been as simple as “the Jews hate Jesus” or “the Jews killed Jesus”. The Bible tells a story of how certain groups within Judaism, corrupt groups or corrupt individuals, opposed Jesus either on religious, political, or financial grounds. On the other hand, much of the common populace in ancient Israel and not a few religious leaders supported him and believed him to be a prophet, with some few recognizing him as Messiah. After the ascension and into Paul’s mission, the reasons for opposing Jesus changed and were largely based on the liberal inclusion of unconverted Gentiles into Jewish space as equal co-participants of religious and social community. This was something not easily accepted because of a misunderstanding as to just how a Gentile could participate in the New Covenant blessings as well as the general feeling that close association with Gentiles might render a Jew “unclean” in some sense (although there was little actually basis for this in Torah). Unfortunately, this spilled back onto anything Paul had to say and teach about Jesus, so it took some dedication for Jewish audiences to overcome their concerns and accept what Paul taught, then accept discipleship under Jesus as Messiah. The Gentiles, for their part, ate it up with a spoon, so to speak, at least at first, but as I mentioned above, eventually the attempt to meld the two communities became unsustainable and the “experiment” flew apart like autumn leaves in a strong wind. But it’s not all bad. The 19th century saw many Jewish luminaries who discovered the identity of the Messiah in Jesus, and more recently in history, the modern Messianic Jewish movement, represented by groups such as the Messianic Jewish Alliance of America (MJAA) and the Union of Messianic Jewish Congregations (UMJC) have become increasingly active, attracting Jewish people to the Messiah within a wholly Jewish ethnic and religious context. So it’s pretty unfair to say that “the Jews hate Jesus” when after all, Jesus loved and loves his people, the sheep of his pasture. As you can see, in addition to his Jewish “sheep,” the Master has “other sheep” in another fold that he intends to bring to himself. He will also restore the royal dynasty to the descendants of David. He will oversee the rebuilding of Jerusalem, including the Third Temple. He will gather the Jewish people to the Land of Israel. I don’t doubt there will be skeptics among both Jews and Christians as to the authenticity of Jesus as Messiah upon his return, but at least for the Jews, as they see him fulfilling prophesies such as the ones listed above, they will believe. That last part I wrote about the Gentiles is a bit of a stretch, since the text regarding the New Covenant only mentioned the House of Judah and the House of Israel, but my rather exhaustive research into this covenant assures me that we sheep from another fold will also benefit from the blessings of redemption and the resurrection to come. So the Jews don’t “hate” Jesus. They may be hesitant or even fear some of his disciples based on the history between Judaism and the Church, and they may mistakenly blame Jesus as well as Paul for that history, but Christians have taught Jews to read the Apostolic Scriptures in the same distorted and flawed manner for centuries, an interpretation so anti-semitic and so supersessionistic that it can no longer be separated from the real meaning of the text in most Christian minds. If we want the Jews to stop “hating Jesus,” then we have to live lives that say we do truly love the people and nation that Jesus loves. That’s one of the roles of the Messianic Gentile, and I hope it will be a mission that the mainstream Church one day adopts. I can’t help but believe that Jews and Christians that have their hearts turned towards God will recognize the Messiah and whether it is his first trip or second will not matter. I’m also quite positive that there will be some Christians so rooted in replacement theology that will consider the Messiah to be false because he will come to restore Israel. These will have their mind more focused on their doctrine and less on God. Essentially the corrupt Pharisees of today. In good practice the Messianic Gentile (MG) should be learning from Jewish sources (Menucha, Koren, Feldheim, Soncino, Behrman, Mesorah and a few other publishers) With this education the MG is able to properly renew their mind, to think more in a eastern or hebraic concept instead of a western hellenistic concept about life and the scriptures. The MG can also reach out to a local shul (orthodox, reform, conservative) and ask there rabbi, either in person or e-mail about contextual meaning about Tanach books or passages. In time once the MG grasp the jewish thought and interpretation of the Tanach, they will be able to see paul and jesus in a better more jewish light. Then that MG can better grasp material from Messianic Jewish publishers since those publishers don’t have the exhaustive resources and materials to cover the nuances details that are found in the letters of paul and jesus, the educational background will help fill in the gaps that these MJ publishers just don’t cover. As the MG begins to learn proper jewish understanding of the Tanach, the love of the jewish people will naturally grown in a more appropriate less superficial (ie: christian) way, and they will become a voice to stand with there Jewish friends. In addition the MG should understand that most Orthodox, reform or conservative Rabbis offer free torah classes (sometimes a small fee they require) but the richness and the authentic-ness the MG gets in operationalizing G-ds word is priceless. Notice this process doesn’t deal with converting gentiles or being a “spiritual jew”, but more about the Gentile becoming educated from proper jewish material and rabbis to better respect and love the G-d they so passionately want to serve, and be less offensive to the jewish community. Christianity on the other hand doesn’t have the tools to properly show they love the Jewish people or their Messiah and the G-d of Israel. Most christians seek “church fathers” and “christian commentary” or “Christian heros” which in the long run leaves a christian wanting more and questioning the christian church and its leadership. They get answers that don’t satisfy their desire for truth and more importantly they ARE NOT TAUGHT how to PROPERLY examine the scriptures and work them. So do you equate a christian and MG as one in the same as far as thought process? It is more that Jews have been taught to fear, dislike and distrust all “Christians” by centuries of abuse by Rome, the Roman and Orthodox churches, and then the intermittent tolerance interrupted by political as well as religious pogroms even amongst Protestants, always keeping the Jews on edge, often in fear, and almost always wondering when the seemingly stable floor will drop out from beneath their feet again. The actual ignorance about Yeshua is appalling among Jews, but among those who know some, they respect Yeshua as a Teacher once they know he was a Jew, but they simply do not understand how a dead man can be the Messiah. Of course, reading the Messianic Prophecies has not exactly been encouraged by Rabinnical Jews, as most of the information comes in a Catholic or Protestant Bible with a ton of cross translation errors to muck up everything. Add the somewhat blind stupidity of our very earnest Christian Missionaries, who cannot often see how incredibly offensive they are being in telling Jews to stop being Jews, and become a good Christian in order to be ‘Saved’! There is a Bible being translated with commentary and full cross references being written in Hebrew specifically for the Jews to read, that points out all the prophecies, and how everything ties in together, which is hoping to be out for Beta testing and the rigid examination of correct Hebrew down to the last cantillon point in about a year by hundreds of volunteer Christian and Jewish scholars to attempt the 100% accuracy they need to be a solid Hebrew/English and Hebrew/ Spanish , and two other language combination Bible with all the proofs and explanations all in one volume. They have hopes to start getting them to Jews to read in their own language for free within the next two years, with the Bible set up to be the teacher, and all the corresponding answers and counter answers to anti-missionary groups covered in the Bible as well. Please, google ‘Messianic Prophecy Bible Project’ for information, and get the word out, and support if you deem it worth your support. I think it will be the best tool for informing those that need a full explanation in the one form they can accept…a Hebrew Tanach and Brit Chadashah with all the prophecies marked, and the commentary and cross references made plain for them to peruse themselves, in private, and for free. Until the Jews see it all for themselves, in the normal, familiar order of the Tanach, and augmented with every anti-missionary counter information, with the Brit Chadashah also in Hebrew, Yeshua will not be seen for what He is…their Messiah, explained in a way they can study on their own, privately, since even the most curious Jew needs to search out the heart of this matter without everyone around him telling him what to think. Then all we need to do is be there for the questions, and the support that they will need as the prophecies provide all they need to know to make the decision that will then be plain. A Prophecy Bible in Hebrew is what we need out there…that, and open doors to as many Jewish organized Messianic Synagogues as we can establish. Please, take a look, and tell others if you too find it an admirable undertaking. then Salkinson and Ginsburgs version of the Greek NT in Hebrew and the Ezekiel Margoliouth version http://vineofdavid.org/remnant-repository/ezekiel_margoliouth/ which I personally enjoy because it is the only completely cantillated translation of the New Testament… The bible society in Israel has an independent translation of Acts and Luke which provides insights to idiomatic phrases etc.. Remember though these are still translations from Greek sources not some newly discovered Hebrew NT… And you must be able to read hebrew. but they are a much better upgrade from any English translation one can find or read. I was researching the Holocaust for a WWII unit as a social studies teacher when I first heard the term “Christian Antisemitism” from Aaron Breitbart, senior researcher at the Simon Wiesenthal Center in Los Angeles. The terminology was oxymoronic to me. But not for long. 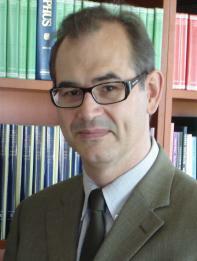 A study of the Christian history of antisemitism–both from a Roman Catholic and Protestant p.o.v.–puts this subject raised by James into perspective for me: the Jews don’t “hate Jesus”, they remain in a kind of state of Post Traumatic Stress, if you will, inspired by two thousand years of Christian anti-Jewish teaching and behavior, which contributed heavily to the atmosphere in Germany and Europe that allowed the Holocaust to occur. They are suspicious. And rightly so. We would do well as Messianic Gentiles and Christians to study this subject in our groups and churches and try to see the history of Christianity from the Jewish point of view. From my point of view, if it were true that “the Jews hated Jesus”, it would be understandable, given the behavior of a large part of Christianity across the centuries. It is the Christian “witness,” not necessarily “Christ,” that the Jewish people look upon with disdain and regret and, perhaps, anger. Who would not be suspicious, at the very least? @Terry: Yes, I think when Messiah returns, he will help all of us out of our misunderstandings and confusion and into the truth about him and about God. @BG: No, not hugs and kisses. I’m talking about taking advantages of those opportunities to support Israel, either financially or in other ways, and supporting Jews in returning to Torah. Granted, we won’t always have these opportunities, but we can help other Gentile believers by explaining to them why we support Israel (many Evangelicals are starting to turn away from Israel) and the Jewish people and why we believe that Jewish Torah observance is important. Many won’t agree with us, but loving Israel means taking a stand whenever we can. Messianic Gentiles and Christians differ in their interpretation of the Bible and their understanding of the Messiah’s role in God’s redemptive plan for Israel and the world, but we have a lot in common such as our belief in God and our faith in the saving power of Jesus Christ. As Terry said above, it helps to focus on what we’ve got in common rather than what separates us. I’ve met some Christians in church who are remarkable tzaddikim (saints or righteous ones) so there is much we can learn about the “weightier matters of the Law” from them. @Questor: The “actual ignorance about Yeshua…among Jews” is tragic but understandable based on the historic enmity between the Church and the Jewish people. Tradition guides how religious Jews interpret the Bible, which interestingly enough includes the Apostolic Scriptures. Most Jews, religious and secular, know little about the “New Testament” except the parts that are interpreted, even in the Church, as anti-semitic and supersessionistic. Tradition guides what most Jews do and don’t know about Yeshua, so misunderstanding of Jesus as Messiah is very common. Anti-missionary groups such as “Jews for Judaism” exploit Christian interpretation of the Bible and use it against Yeshua-faith among Jews, painting Christians in a pretty bad light. 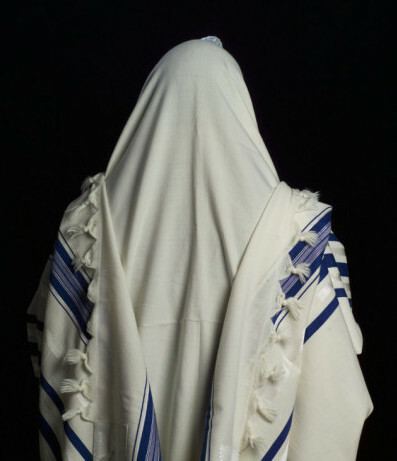 I even know of one person who used to be a Messianic Jew for many years, but within the past year or so, has denied the Master and has become more completely Orthodox. Sadly, he uses his blog and comments on some Messianic Jewish blogs to denigrate Jewish and Gentile Yeshua-faith. I don’t doubt this is in “self-defense” since a Jew who has once been Messianic and then denies Yeshua and adheres to Orthodox (or another branch of) Judaism has a lot to “prove”. There have been a number of projects over the past several centuries that have resulted in translations of the New Testament into Hebrew and Yiddish. 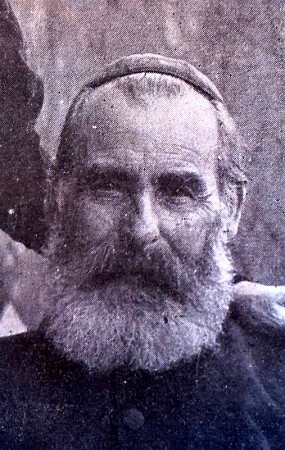 As a child in the late 19th century, Chasidic Jew Feivel (later Paul Philip) Levertoff came across part of a page from the Gospel of John that had been translated into Hebrew. That started him on a life-long journey of discovery. Rabbi Joshua Brumbach compiled a list of such “Messianic Luminaries” on his blog giving evidence of the long history of Jews who didn’t convert to Christianity upon coming to Yeshua-faith and who were among the first Messianic Jews in the modern era. The Delitzsch Hebrew Gospels, published by First Fruits of Zion/Vine of David, are the latest effort to bring Franz Delitzsch’s 19th century translation to modern Jews. @Dan: I agree with your thoughts on “post-traumatic stress” among Jews about Christians. I remember being in my local Reform/Conservative synagogue when Mel Gibson’s film “The Passion of the Christ” was first appearing in theaters. There was real fear in the room as these Jews discussed the possible implication of the movie. Historically after every Passion Play, there’s been a pogrom. While nothing like that happened in or around Boise, Idaho, there were acts of anti-semitism in other nations. Now we see anti-semitism and violence against Jews around the world including in the U.S. and many Christian denominations are turning away from supporting Israel and the Jewish people. Even the Presbyterian Church USA has voted to remove the word “Israel” from their prayers. Given all this, it’s amazing that any Jew would feel comfortable or even tolerate being in the company of Christians. Of course, this isn’t true of all Christians, but even those who say they “love Israel and the Jewish people” love them with the idea of converting them to Christianity. Most of the Christians who “love Israel” love her with strings attached. James, who ever said Orthodox Jews or Messianic Jews or even Messianic Gentiles don’t keep the weightier matters of the Torah? Hi James… my friend. I was alerted to this comment. I believe it’s about me. Well, yes, I do speak out against Christianity’s (and its messianic cousin) worshiping a human being as god, which I came to realize, sadly only after many long years (since my late teens) as a devout Christian and then Messianic, to be idolatry. But I don’t do this to prove myself to anyone (no one in my Jewish community knows about my journey) and I don’t do this to prove myself to my former former Christian co-religionists either. I really wanted nothing to do with any of this at all after shutting down my blog, to put all this behind me. But I realized that I could not stand idly while other Jews perished. The only reason is chose to speak out is if I can save another Jew from being lost to this form of idol worship and from being cut off from his people as a result, that’s would be the least I can do as a form of thanksgiving to the G-d of Israel for leading me and my whole family out of my “Egypt”. I do this because I believe that am uniquely positioned (and I believe equipped) for this task, much more so than most Jews who never got entangled in either in Christianity or the Messianic movement on my level and for so many years. I recently watched the movie let the lion roar the Jewish people have suffered for over a thousand years if not more because of Gentile Christianity . @BG: Not sure I was suggesting that Orthodox or Messianic Jews don’t keep the weightier matters of the Torah but if I did, it wasn’t my intention. @Gene: Yes, I was referring to you, but not by name. We’ve never met but I do consider you a friend and as such, I don’t want to step into any sort of argument with you. You are doing what you need to do for yourself and the Jewish community and I do respect that, even though we aren’t going to agree on certain things. @Mike – Didn’t you find the production of the movie disappointing? I bought the movie & book set. The book essentially had the same information, but seemed so much easier to swallow. The movie, unfortunately, seemed to tip the scales way too far into the “cheesy” category. I think a classic, simple documentary would have handled the information so much better than the docu-drama style. Taking a broad sweeping view of many parts of the equation, James helps us understand what the role of the Messianic non-Jew is. While he and I may not fully agree on what it means to be grafted in, we do completely agree that we are to love, support, protect and encourage in tangible ways those of Judah. @Terry: No worries. It’s all good. @Pete: Thanks for the “shout out” on your blog. YAY!!! Long ago I realized that the real reason the Jews began resenting Paul and his ministry was because he brought Gentiles into their community – Essentially, those Gentile converts represented Roman rule, unclean pagan behavior and prejudice AGAINST Jews, yet the converts expected the Jews to welcome them into their synagogues. NOT!! As I wrote in my yet-to-be published study on the Book of Acts, “The synagogues, once a refuge for the conquered and oppressed Jews, became places where the oppressor expected to be welcomed as a brother!” So glad to find SOMEONE who has recognized this issue!! Thanks, Brother! You’re welcome, Sue. Thanks for commenting. I’ve been reading this coming from some New Testament scholars recently (and appearing on this blog with increasing frequency), and I believe it’s an argument that is baseless (although it helps some in their quest to defend Paul against attacks on his character and motives). It’s a fact of history, and even the NT testifies to that, that Gentile G-d fearers (non-Jews who were affiliated with a synagogue but did not convert to Judaism) already filled first century synagogues before Christianity ever took root, without any major issues. Judaism was quite popular among many non-Jews before the sacking of Jerusalem. We have evidence of Gentile sponsors of synagogues, with their names found on the walls. The real problem with Pauline Christianity was and still is that it idolized a man as god and thus taught things contrary to the Torah – that’s the root of the issue of the break with Judaism (along with preaching that the Mosaic covenant was obsolete and vanishing away, as clearly stated in Hebrews 8:13), and not that Jews resented a friendly and supportive (financially and otherwise) Gentile presence. It seems to me not a settled matter as to what the problem was; I tend to think it had a lot to do with the precarious setting within Rome’s empire (not quite something about Judaism [other than fear or jealousy within some leaders], nor idolatry in Paul). I also think the hatred displayed then (by the likes of Paul) is something different from what has happened since (which is sometimes hate, sometimes fear, sometimes just disagreement all well based in history and current teaching and behavior). I don’t know where the information came from. (And I would make a correction — that the English [and Hebrew] does not render “Lord” but LORD.) I do know it’s true there is different rendering as to what most people were reading in the first century. The above quotation is simply the section to which the “correction” I mentioned pertains. It is not all or especially what to draw attention to; I would ask that you read the article at the site (which is not a site I follow but which is a concept I am curious about). Merrill, I don’t know either, but probably from thousands of Christian and Messianic websites and forums that use these quotes as supposed “proof” that rabbinic Jews really did believe in Jesus after all ….i.e. the same old story. You appear to dislike the fact that there were many, as in thousands of Jews, who came to believe that Yeshua was Mashiach, not by force, nor persuasion, but hearing the reports of the talmudim in Judea and Asia during the mid first century, and looking at the relevant scriptures in the Tanakh, found support for that belief that Yeshua was indeed Mashiach. It does not mean they ever worshiped Yeshua as a god, nor for that matter that Messianic Jews or Gentiles currently worship anyone but YHVH. The fact that those ‘Christian’ believers, who were Gentiles, and wanted to stay alive under an anti-Jewish Roman Government, fought for hundreds of years over first a duality of gods, and then a trinity of gods for 400 years is still a fact, as is the fact that early Nazarene Jews were zealous for the law, and did not worship Yeshua as G-d. Yeshua was ‘That Prophet’, even as the Pharisees asked of John the Immerser. You may have been attached to a trinitarian belief painted over an idolatrous figurine on a cross for a time in your life, but that is not so for everyone that awaits Yeshua’s return, Gentile or Jew. There are many Messianic Believers that are very aware of the idolatrous nature of the Christian Church as it became after Paul, Peter, and John the Revelator died. Unfortunately, there are myriads more Christians who never even question the matter of just who Mashiach is. In your protection of the Jews from the Christians please don’t crucify the rest of us who are learning Torah, and worship YHVH alone. I don’t accept the quite late (and wrong in many facts, including about Paul’s own life) Book of Acts as truth, and I don’t accept its claims of “myriads of Jews”. By all other accounts Jews who believed that Jesus was (or may have been) a Messiah were quite insignificant in number, and they quickly faded into obscurity. The left virtually no records apart from reports of Church fathers and the Pauline spin on them that we find in the NT. A small number of them may have survived for a few centuries before their total assimilation into Pauline Christianity. As far as finding support for Jesus in the Jewish scriptures, I myself, when actually reading NT quotations (and misquotations) in the original context, found zero support. However, it’s not unusual for people to invent support for their ideas out of whole cloth, misusing the Jewish scriptures with abandon, as happened with countless false messiahs, as happened with untold number of varieties of Christianities, as happened with Islam, which found support and prophecies for Muhammad in the Jewish bible, as well as other religions and cults. Most Christians and MJs are solidly trinitarians. Even those unitarians who claim that Jesus wasn’t god, still maintain, solidly based on NT, that Jesus is still worthy of and authorized to receive worship, worthy of prayers offered to him or through him, worthy of being loved above everyone else (as he demanded of his followers), i.e. qualities reserved for Hashem alone. They are still committing idolatry. I don’t attack anyone personally. Rather, I expose general ideas and acts. ….Jews who believed that Jesus was (or may have been) a Messiah were quite insignificant in number, and they quickly faded …left virtually no records …. A small number of them may have survived for a few centuries before their total assimilation…. I think you underestimate [or even deny] what happened [as does (and worse) most Christianity in its ignorance]. Some (of the many) may have “assimilated.” But what happened on the whole is they were completely rejected by Rome. History is warped by the victors.